Who are we? What are our areas of expertise? How can we help? Vicki is a veteran educator, with experience as a K-12 teacher, school leader, educational consultant, and adjunct college instructor. She is also designated as a Trainer of Trainers for KSDE in the area of Kansas College and Career Ready English/Language Arts Standards. Areas of Expertise: Common Core, Literacy in the Content Areas, Curriculum Design, School Improvement Analysis and Planning, Collecting and Analyzing Building Data, Leading and Planning Professional Learning, Teaching Students in Poverty, Professional Learning Communities, Mentoring, Differentiated Instruction, Effective Instructional Strategies, Engaging Students in the Classroom, Classroom Management, Working with Classroom, Core, and Non-core Teachers. Barb has a wealth of experience as a math educator at all levels, and as an educational consultant for the last few years. Her knowledge of math, designing math curriculum, and how it can be implemented is a valuable asset no network can be without. Areas of Expertise: Common Core Training and Implementation, Math content, Instructional Coaching, Collecting and Analyzing Building Data, School-wide Data Analysis and Planning, School Improvement Process and Planning, and Mentoring Teachers and Administrators. Terri is an experienced educator who now is a part of the business world, utilizing her educational skills in a corporate setting. In addition to her experiences as a teacher, administrator and educational consultant, she is now able to help schools understand what the work world is asking of today's students. Areas of Expertise: Common Core Math, Instructional Coaching, Collecting and Analyzing Building Data, School Data Analysis and Planning, School Improvement Process and Planning, Mentoring, and Effective Instructional Strategies. Jill has a wide range of knowledge and skills and valuable experience working with administrators and teachers as a member of the Education Services Support Team in her district. Areas of Expertise: Common Core, Collecting and Analyzing Building Data, School-wide Data Analysis and Planning, School Improvement, Professional Learning Communities, Science Content, Literacy in the Content Area, Mentoring, Effective Instructional Strategies, Differentiated Instruction, Engaging Students in the Classroom, Project Based Learning, Classroom Management, Walkthrough Planning and Facilitation, Protocol Guide Writing, Assessment, and Curriculum Mapping. Charyll has a wide range of educational experiences as classroom teacher, principal, educational consultant and instructional coach, which is now her preferred area of concentration. Areas of Expertise: Instructional Coaching, Building Leadership, Special Education, Collecting and Analyzing Building Data, and School Improvement Processing and Planning. Janna is a teacher leader with experiences as an elementary classroom teacher and middle school reading and social studies teacher. 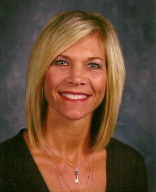 She has extensive experience in school improvement, classroom walkthroughs, and mentoring. Areas of Expertise: Collecting and Analyzing Building Data (walkthroughs), School-wide Data Analysis and Planning, School Improvement, Literacy in the Content Areas, Mentoring, Effective Instructional Strategies, Classroom Management, and Leadership. Gina is a K-12 media and technology specialist with a background in elementary education. She has experience with multiple types of technology and is innovative in the use of technology to help students become 21st Century learners. Patt is a reading specialist in her district's Title I program for the primary grades, after teaching first grade throughout most of her career. She is trained in Reading Recovery, Guided Reading, has experience as a mentor and instructional coach, and with assessment data collection and analysis. Areas of Expertise: Guided Reading, Reading Recovery, Title I, Literacy in the Content Areas, Effective Instructional Strategies, Differentiated Instruction, Early Reading Intervention and Instruction, Inclusion (through Title I), and Data Collection, Analysis and Use. Charlotte is an experienced science educator and educational consultant. Areas of Expertise: Common Core Math, Instructional Coaching, Collecting and Analyzing Building Data (walkthroughs), Professional Learning (planning and development), Curriculum, Science Content and Science Notebooks, K-12 Science Framework, Using Science Process and Practices for Inquiry, Literacy in the Content Area, Effective Instructional Strategies, and Unit and Lesson Design. Sherry has a wealth of educational knowledge and experience. She has been a classroom teacher, curriculum director, educational consultant, adjunct college instructor, and is a published author of educational books. Areas of Expertise: Common Core (ELA and Math) Training and Implementation, Assessment, Curriculum Alignment, Instructional Coaching, Collecting and Analyzing Building Data, School Improvement, Professional Learning Communities, Special Ed (specifically Autism), Literacy in the Content Area, Instructional Strategies, Teaching Students in Poverty, and Mentoring. Angela is an experienced educator who specializes in leading and improving instruction, particularly in the area of English/Language Arts. She has been a classroom teacher at the elementary and middle school levels and currently serves as an instructional coach at the middle school level in her district. Areas of Expertise: Common Core ELA; Instructional Coaching; School Improvement Processes and Planning; Professional Learning; Effective Instructional Strategies; Differentiated Instruction; Engaging Students in the Classroom, and Building Leadership. Brian is an elementary teacher with experience in primary and intermediate grades. He leads an engaging classroom where activity and investigation are common practice. He has used iPods/iPads in his classroom for over five years and is continuing to use them in new and inventive ways. Areas of Expertise: Elementary Science; Differentiated Instruction; Student Engagement; Technology Integration (iPads, iPods, Prometheans and Smart Board software). Corissa is middle school librarian and technology teacher for her district. Utilizing technology as a part of learning is her focus. Previously she was an elementary classroom teacher who utilized artistic talents and technology skills to enhance her instruction and increase student engagement. Someone you may know will be in this space!